We already had winter. But what about second winter? This was yet another month of wanting nothing more to stay inside. We had a week of nice weather and then another blizzard. This week’s just been rain town. I did go out to some events and get out of the house here and there. But damn did it feel way better to stay inside and hang out on the couch. Check out what me and my couch were up to this month after the jump! Okay this is the last time I’m going to talk about this for a while, I promise! I finally finished Brotherhood and then watched the live action movie. 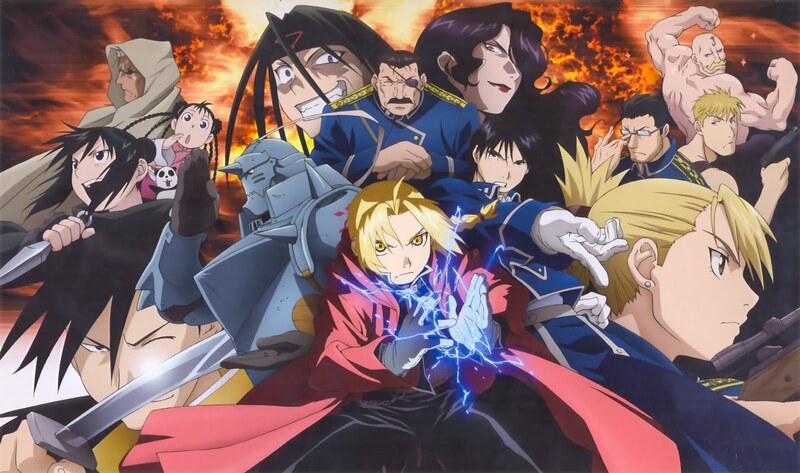 I think it’s a fantastic series that does a great job with world building and developing a large cast of complex, three-dimensional characters. Being said: I found the final arc to be bonkers banana pants and had no idea what was going on. Who exactly was the villain? What was their goal? And for all the talk I’ve heard about Alchemy being a well crafted magic system it really, really just came across as another “do whatever the writers need it to do” super power. And that movie… nevermind, let’s end on a positive note. I’ll go more in depth on this topic in my upcoming “What I Read” video, but man are these comics good. I started reading the new series, published by BOOM! Studios, when they first started in 2016. However I am more used to traditional comic story arcs that wrap up around 6 issues. The first storyline in Mighty Morphin Power Rangers runs for a total of seventeen issues and that includes a flashback/filler/side story every four issues. On a monthly basis, that didn’t work for me. But binging the whole thing in two days? I think these are the best Power Rangers stories ever told. I even thought the Justice League crossover was great! 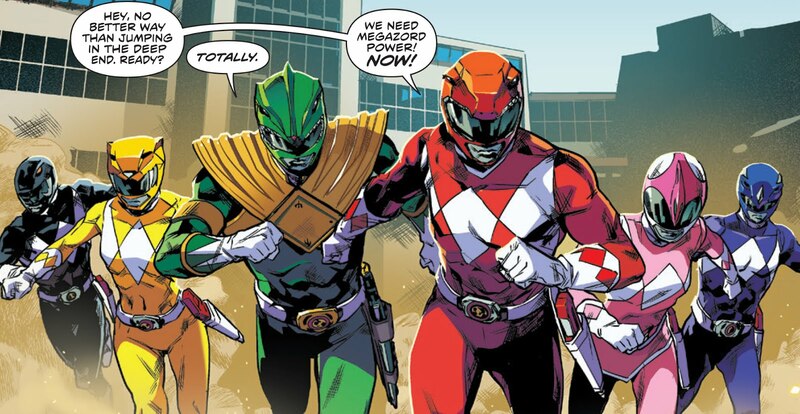 A lot of people complained about that one because the Rangers were unmorphed for a lot of it, which could also get annoying if you’re reading month to month, but on Hoopla there are not breaks between issues so it all flowed together pretty seamlessly and the story definitely worked better being read in one sitting. And now I’m all caught up for Shattered Grid, which is so exciting! You have to read these books, guys! Katrina and I totally got a Nintendo Switch! 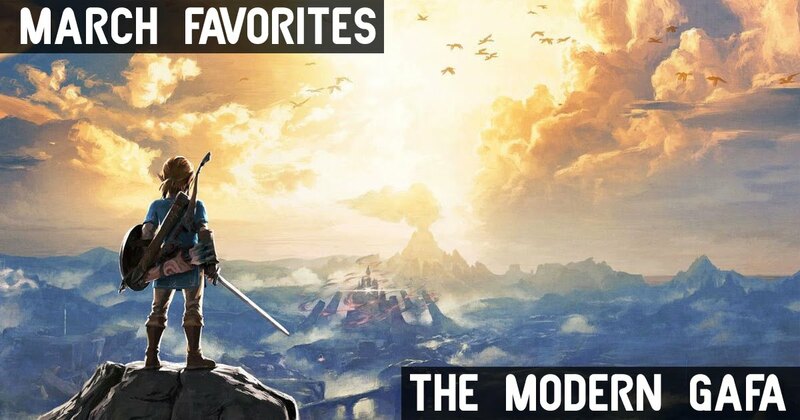 We got Zelda, because it’s the best game ever, and Mario Kart, which we played once and then spent the rest of the month in Hyrule. I love this game so much and it was all I wanted to do for the past few weeks. That being said I feel like I’ve seen enough of the huge open world to finally start seeing things that are similar and get repetitive. All four of the Divine Beast quests are exactly the same but with different puzzles. 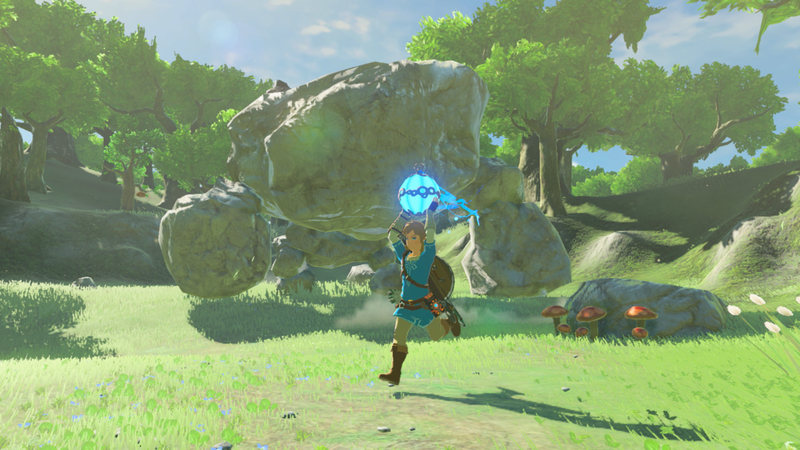 A lot of shrines are just “fight a robot.” How many Korok seeds do you find just by picking up a rock? That being said there is still so much to love about this game and while I may get tired of some things, there is always something new and exciting just around the corner! Just a quick shoutout since I wasn’t able to get a full review done. This movie was awesome and will probably be my favorite movie of the year until Spider-Man. It was fun, stupid, and full of a lot of cool sci fi stuff that I love. The new characters were cool and all of the new Jaegers had all kinds of glorious awesomeness! More please. What was your favorite thing about March this year? Let me know in the comments below! Who Was Behind the Max Headroom Signal Intrusion?